Goerge Habash is dead: the revolutionary ascetic. I was very sad all day today. 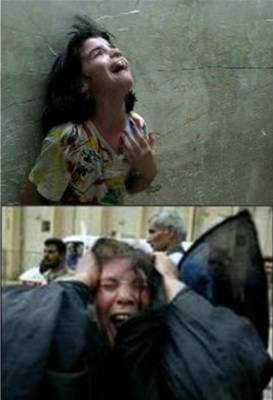 I would feel my tears on my face every time I would see his pictures on Arab TV stations which reported on his death. I told part of the story here before: on the first time I met Habash in Beirut when I was in high school. `Aziz woke me up after midnight. I did not know where I was going, but `Aziz was smiling. He knew that I would be happy. We went on his motorcycle. We entered the living room in that apartment in Hamra Street, and there was George Habash and his wife, Hilda. I was 17 years old in 1978. Habash was drinking whiskey. I was mesmerized--by him, not by the whiskey. I never was affected by meeting a person, like that meeting. I never since then found anybody with his charisma. In my eyes, nobody had Habash's charisma, although I am objectively critical of his political role and the experience of the PFLP. Of course, the Western media will portray him as a terrorist, and House of Saud neo-conservative writer, Waddah Shararah (I disliked him when he was a Stalinist and I dislike him even more as a neo-conservative Arab but my consolation is that nobody reads him and those who read him don't know what he wants to say--Sadiq Jalal Al-`Adhm once told me that Shararah writes as inside joke between himself) will repeat what he said before on Habash, that he was a terrorist. I know better. I even know that he was a gentle man, not a violent man at all--current Zionist obituaries in the Western press notwithstanding. Ironically, the era of the early hijacking and "international operations" made him notorious worldwide in the early 1970s although he had nothing to do with that. That was the brainchild of Wadi` Haddad, who did not have the patience for "mass work" that Habash so favored, what is now called "collective action" in the political science jargon. So during the conversation, Habash brought up the issue of that right-wing student at IC (my obnoxious elitist high school) that I have "bothered." I prevented the student from displaying books by right-wing organizations during an Arabic book exhibit at the school. 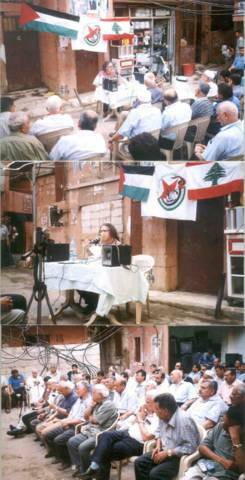 I was merely observing--as I still do--the "isolation" of the Phalanges Party--the fascist party of Lebanon--in the wake of the `Ayn Ar-Rummanah massacre. The student's father was Habash's dentist, and the father complained to Habash. So Habash brought up the issue: and I so arrogantly--I get embarrassed when I remember--told him: there is no "wisatah" (mediation) in revolutionary matters. Who am I to talk like this to a symbol of world revolution at the time? Who did I think I was? How arrogant of me. I still remember what he said. He said: we can't say that he (the fellow in question) is "in`izali"(isolationist) nor we can say that he is "watani" (patriotic). I was deeply affected by the encounter, and my (personal) admiration for him grew. You often meet people you have read about, and then you lose your admiration when you see them up close. It was not like that in the case of Habash, although politically I was growing increasingly toward anarchism and opposed Marxist-Leninist organizations in college--one Stalinist organization threatened to kill me because they said that I was having a bad influence on their members who had left. But I managed to smoke Habash's pipe afterwards--I hate smoking, but did not want to miss the opportunity to smoke his pipe. So Habash was not in favor of "international operations" and he was adamant about that and was forced in late 1971 to expel his very best friend Wadi` Haddad over "the hijacking and international operations." Haddad believed in actions, and nothing else, and that was not Habash. Habash's family was of course expelled by Zionist gangs under the leadership of Itzhak Rabin (he talked about the expulsion in the Hebrew edition of his memoirs, but not in the English language--why harm Zionist propaganda in the English speaking world, he must have calculated) in 1948. I saw Habash a few times over the years, and the last time was a few years ago when the publisher, Riyadh Najib Ar-Rayyis and Fawwaz Trabulsi suggested that I talk with Habash about writing his biography. Nothing came out of that, and he said that his wife did not agree: she wanted to monopolize the process. Habash was somebody you can disagree with: in fact, he had read a very critical article I had written on the Popular Front for the Liberation of Palestine back in 1987 in the Middle East Journal. 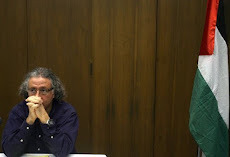 I also gave him in that meeting another very critical article I have written about him for the Journal of Palestine Studies (titled "Neither Unity, Nor Liberation"). Prior to the meeting, his entourage and my sister kindly asked me to not be too critical: they were worried about him because he had become too emotional and excitable. I noticed that. He would get very emotional. But he was mentally alert, although he would forget a date here and there. I offered some criticisms in that last meeting: about how the Front did not promote women's rights, as it should have. He fully agreed, and told me that they are working on promoting more women in leadership positions. I told him that secularism was not pushed hard enough, and he also agreed. But what bothered me was his sense of resignation: he basically felt that he was willing to leave the Palestinian question in the hands of Hamas and Hizbullah because "we the left, have failed." It bothered me that he was not willing to be critical of the Islamists, or be interested in saving or reviving the Left. I am very critical of the experience of the PFLP: many things along the way. Oil money (directly or indirectly) reached and corrupted all organizations of the Palestinian revolution. And during the experience of the Rejectionist Front (from 1974-1977), Habash and the PFLP allowed the regime of Saddam Husayn to exercise control over all of them in return for hefty subsidies. That was it. Between Zionism and imperialism, oil money, the Syrian and the Iraqi regime, and the lousy leadership of Yasir `Arafat, they succeeded in aborting the Palestinian revolution. 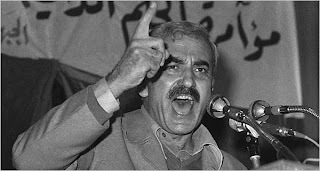 Habash uniquely resigned from the PFLP leadership. He wanted to found think tank. He gave me a copy of the plan--it was super secret in his mind, as he told me to not share with anybody. I read it later, and felt very sad. He basically had a vision of a think tank, organized Leninistically--with a politbureau and a Central Committee, etc. It never took off of course: he had no money. He barely had money to live, I know that. He also refused offers of financial help from wealthy Palestinians. But lest Zionist hoodlums begin their celebrations too prematurely: I still remember his last words to me: he said, as if to take himself out of a gloomy mood: "and there is and there will be a new Palestinian generation." How true. Stay tuned.